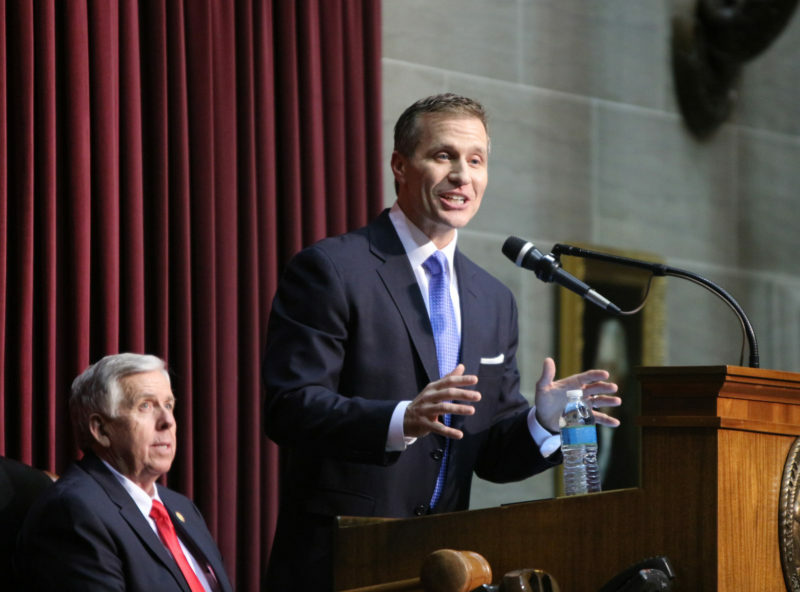 Today, Governor Eric Greitens signed a bill to ensure that the state has the necessary funds to operate through Fiscal Year 2018. The supplemental appropriations bill allows for the continued current operations of state government. The Truly Agreed to and Finally Passed Fiscal Year 2018 supplemental HB 2014 totals $705 million, including $162 million General Revenue, $345 million Federal Funds, and $198 million in Other Funds. $586,031,851, including $110,558,813 General Revenue, to operate MO HealthNet programs. $28,336,177, including $15,102,314 General Revenue, to provide services to Missourians in the Medicaid Home and Community Based Services Program. $1,482,491, including $1,274,942 General Revenue, to provide adoption/guardianship payments for children in the care and custody of the Children’s Division. $1,450,497, including $713,150 General Revenue, to provide foster care services for children in the care and custody of the Children’s Division. $5,992,979 General Revenue for staffing costs at Missouri’s mental health facilities. $5,035,680 General Revenue for offender health care costs at Missouri’s correctional facilities. $4,000,000 General Revenue for increased early childhood special education costs. $4,000,000 General Revenue to pay state employee health benefits through the Missouri Consolidated Health Care Plan. $2,500,000 General Revenue to allow the State Emergency Management Agency to provide emergency assistance in the event of a disaster or an emergency. $1,800,000 Economic Development Advancement Funds for business recruitment and marketing within the Department of Economic Development. $535,535 Missouri Veterans’ Homes Fund for staffing costs at Missouri Veterans’ Homes.